In this introduction we intend to explain what to be a Siddha means, what did the Siddhas look for, what kind of Yoga did they develop, what is the goal of this Yoga, whom is this Yoga addressed to and how did the Siddhas create a millenary tradition. Many definitions are possible about that which represents to be a Siddha but all of them have a common denominator: all of them make reference to the spiritual accomplishments that people designated as “Siddhas” attain. First of all, it should be clearly understood that the so called Siddhas are yogis. They are considered as the Fathers of the Yoga given that through a process of research and exploration of their own self by means of certain techniques, they brought out the different paths of Yoga and even some other ways as yet unknown. Finally they realized the way that led them to Jiva mukti, i.e. the liberation while still alive or enlightenment. The conclusion they arrived at was that both the goal and the accomplishment of the Yoga that they practiced was the attainment of enlightenment (Jiva mukti). Taking into account that in the world of Yoga there are many forms to satisfy different needs of the human being, the Siddha yogis developed, with a very clear vision, a specific Yoga for those people being at that point in their search where their objective or purpose in this life is to attain enlightenment (Jiva mukti). A Siddha is someone who attains perfection by rising up the kundalini, the supreme power within us, with the purpose of attaining the enlightenment. A Siddha, therefore, is someone who has untied the knots of past, present and future karmas. When he is liberated from the knots of karma, he no longer dies or needs to reborn; he has escaped from the wheel of Samsara. The Siddhas are yogis who continue living in the body after the realization of the Ultimate Truth (or enlightenment). For them, the body is the arena where every transformation, evolution and realization takes place. For this purpose, they evolved a technique of preservation of the body called kaya sadhana. A Siddha is someone who reaches a state of immortality. A Siddha obtains and possesses an eternal spiritual body called divya-deha and he is able to finally break the karmic cycle and attain the liberation from the constraints of space and time. What type of Yoga did they practice and which are the characteristics of the Yoga they evolved? The “method” that they discovered in order to make Jiva mukti possible has the activation of the kundalini energy as its basis. They discovered that it was necessary to awaken the kundalini energy located at the muladhara cakra and also that this energy should ascend the central channel sushumna to reach the seventh cakra, sahasrara. The way to attain the liberation is the path that runs through sushumna and the cakras. Their system was based on the work with the cakras, in making the kundalini energy ascend through sushumna, in neutralizing both nadis ida and pingala so that the breath goes by the central channel sushumna. They also discovered that it was not enough to exert control over the breath in a certain way, thus attaining a certain physical pranic level. For the activation of the whole process, they realized that there was a sort of key acting over the different cakras. Such key is the mantra. They found out that there is a primal mantra (the original mantra) from which all other mantras are derived, this primal mantra being the help needed to attain the enlightenment or liberation. All other mantras may have the capacity to activate certain qualities or aspects related to our divinity, but there is only one mantra stemming from the very source able to connect us directly with it. This mantra is AUM. All other mantras have evolved from this primal one. There is a form of Aum associated with the cakras. They call this method the Pure Path, the only path, the proven path, as there were many Siddhas who worked with this method and attained the Jiva mukti or enlightenment while still alive. The enlightenment while still alive is a state of Happiness or Permanent Bliss. The Siddhas named this state Supreme Joy, state of beyond the beyond, Vettaveli, Sat-cit-ananda. The goal of this path is to arrive at that Pure or Absolute Consciousness dwelling in the human being; it is a state of non-duality. The Vasi Yoga is the technique appropriate to transform the normal consciousness into Supreme Consciousness. This Supreme Consciousness is called Samadhi in yogic parlance. The only objective of Yoga is to awaken the kundalini and this means a process of dissolution of both the ego and its annexes, the senses, the mind and the intellect, apart from the subconscious impressions from other lives and thus of the karma itself. In that consciousness state everything gets vanished, the distinction among the object known, the knower and the process of knowing disappears. Anyone who enters this path progressively cleans the different channels and the karma as well; the goal is to attain a state of purity where the Supreme Consciousness may emerge. It is like removing layers of accumulated dirt that prevent us seeing the brilliance of the mirror placed before our eyes. Enlightenment means to attain Samadhi –the eighth and last stage of Yoga. It is the return back to the Origin in a conscious way. It is the possibility realized by the Siddhas to remain in this Samadhi within this fleshly body and still enjoy the Supreme Bliss, helping mankind to attain also this state. This tradition calls this help “Arrupadai”. Who is this path of Yoga aimed at? This kind of Yoga is aimed at those who seek the attainment of the Samadhi, at those who have realized that there is nothing else in this world that can help them to reach this state of happiness we are always searching. It is aimed at all those who have raised the question that there should be a way to escape from the wheel of Samsara, a way to avoid the recurrence of the cycle of death and birth. It is aimed at all those who long intensely the Absolute, at those who want to know who we are y why we are here. In this Yoga (a nonathletic yoga) the whole activity is at the service of the attainment of Samadhi, the accomplishment of the internal unity. These masters also point out that it is not necessary to practice many types of postures. Tirumular (one of the most ancient Siddha yogis) spoke about only eight major types of asanas. The purpose of asanas is to maintain the body healthy and lively as well as to purify the nadis. Pranayama exercises help us to escape from the mind’s influence and to destroy the intellectual knowledge. They also allow us to attain the state of pure consciousness. This Yoga includes the practice of asanas, bandhas and pranayama, being all of them oriented to the awakening of the kundalini and to the attainment of Samadhi. Who are the Siddhas, how have we come to know them and why theirs is a living tradition? Vettaveli as a successor of this tradition. Tamil Siddhas are yogis who truly experienced the Ultimate Reality. Many of them wrote down their experiences in the form of poetry. They were the only ones who, in contrast to Buddhists and Jains, were much concerned about the body and developed a path towards longevity and Samadhi. Among the tamil Siddhas there have been identified three different groups. One of them has Agastyar as its representative; the second group belongs to the school of Tirumular; and the third of them, namely that of Nandidevar, is considered as the oldest one. Tirumular was a disciple of Nandi Devar. The four sages to whom it was granted Nandi Devar’s grace were Sanaka, Sanatana, Sanatkumara and Sanandana. The four other masters are Siva-yogi, Patanjali, Vyagrapada and Tirumular. All of them belonged to the Kailaya tradition. Since 500 B.C. some works make reference to the Siddhas. Some of them lived not later than the fifth century A.D. Tradition makes reference to 18 Siddhas and also to 63 Siddhas but these numbers are just symbolic. They mean that there is a tradition of people who, following the method they practiced, came to attain Jiva mukti. We can mention a great number of them because many of them left us a legacy of writings where they reflect their experiences and also the way to attain the Jiva mukti. These writings are couched in a particular language called “twilight language”. Among them, we can mention Agastyar, Tirumular, Boganathar, Karuvurar, Nandidevar, Pambatticitar, Maccamuni, Konganar, Cattaimuni… Within this evolution process, the Siddhas created a special energy –a conscious energy that helps to reach the state of enlightenment. In our recent travel to India in January 2017, Ramón Ruedas Gómez, founder of the Vasi Yoga and continuator of this tradition, had a series of experiences with the Siddhas who made known several issues, one of them being that this energy extremely valuable for the enlightenment is running the risk of disappearing as a consequence of the high population density. 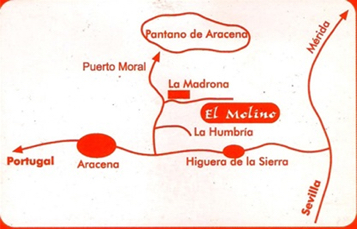 Furthermore, they told Ramón that he should make a transfer of this energy to Europe –particularly to the Ashram Vettaveli, province of Huelva, near Aracena. Then it would be possible to make further transfers from this location to other places, thus keeping the energy alive so that those people who search for enlightenment can access this special energy they have cultivated over thousands of years. Hence the need to establish the Ashrams Vettaveli as centers where people seeking enlightenment can go and carry out their special practices. This energy is still alive in all those places where the Siddhas attained their illumination, as for example Pothigai Hills, Tamil Nadu, South of India.